The three star superior Hotel Giardinetto has been within the Primatesta family since Luciano Primatesta founded it as an Inn in 1930. 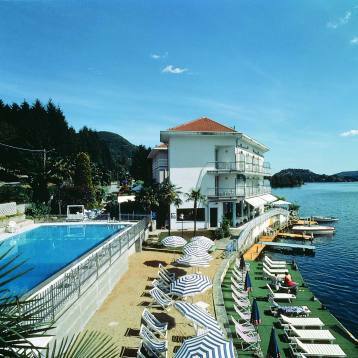 Its continuous evolution has made it a point of reference for the hospitality industry on Lake Orta, as well as further afield. In addition, the hotel offers itself as an ideal base from which you can visit Lake Maggiore, Stresa and its charming islands, Locarno and Switzerland. Milan with its fine shopping and the Expo 2015 is about 50 minutes away and the factory outlets of great design labels such as Alessi and Lagostina are closer.